Outdoor bowling at its best! 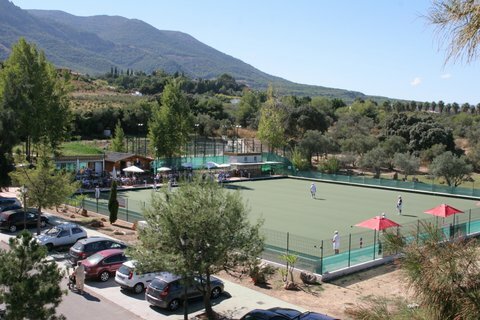 Open all year round, our full size eight rink, all-weather surface looks onto a stunning panorama of olive groves and citrus trees with the beautiful Sierra de Míjas mountains and Guadalhorce Valley as a backdrop. Aside from the bowls club facilities, the Lauro Golf Resort has accommodation (to rent and for sale), fully licensed bars and restaurants (open all day), 27 holes of golf, putting green, golf academy and driving range, 'padel' tennis and a nearby equestrian centre - all surrounded by acre upon acre of beautiful countryside and national forest. Unlike the busy Costa clubs, we have no traffic jams and plenty of onsite parking (including for coaches). There’s disabled access to the rink, too. We welcome new members - and whether you are an old hand or a new bowler you will be made very welcome here. Coaching is available and free of charge. Be sure to explore our site from the links above and please get in touch if you can't find what you need. Opened in 2009 as a private business, very few of our original members had bowled before. As a result everyone has grown and developed together, leavened by the addition of some more experienced bowlers, keeping the standard of the Club at a competitive level across the membership. Indeed, several of our members currently represent Malaga province. In 2011 the owners of the Club passed control to the Club Members and since then it has been run as a non-profit Members Club. All of the buildings and development of the Club facilities has been carried out by the Members themselves and we continue to develop the grounds, with a new extension to the Pavilion completed in March. 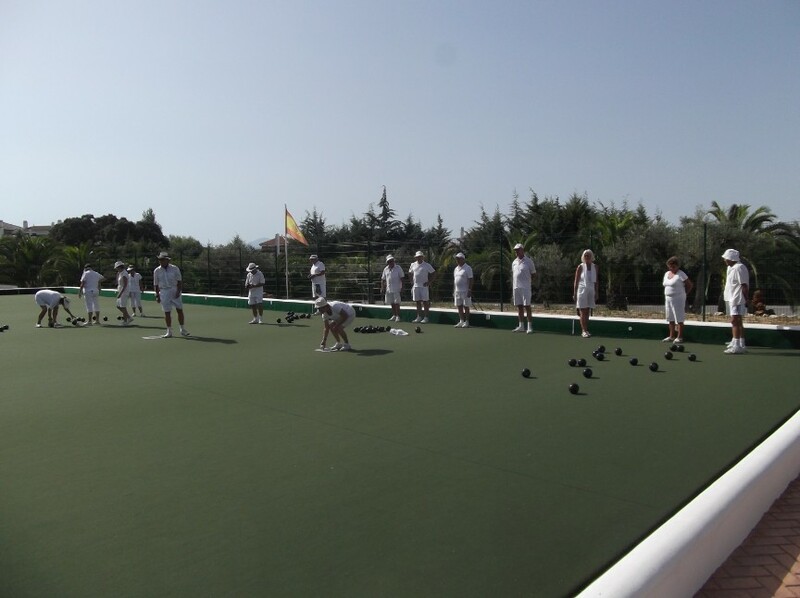 We hold several Club Competitions throughout the season and the highlight of our year is the Lauro Open Tournament. Held around the 6th October every year this is open to anyone to enter, prize money is good and the event is always well attended and competitive. At a time when bowls membership in general is declining, we are very happy to have attracted a steady influx of new bowlers, offering them Coaching and continued "mentoring" as they learn this fascinating sport and integrate with the Club.